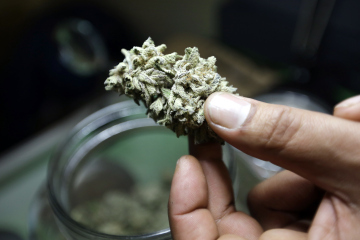 TIME reports, “A few days into the experiment, the new world of legal-recreational-marijuana sales in Colorado appears to be a big success — so much so that pot shops are finding it impossible to keep up with demand. According to the Denver Post, at least 37 stores in Colorado were licensed to sell recreational pot to anyone 21 or over as of New Year’s Day. The Associated Press and others reported long lines outside Denver pot shops, with some eager customers forced to wait three to five hours before getting a chance to go inside, step up to the counter and make a purchase. Prices have been steep — in some cases, stores were charging $50 or even $70 for one-eighth of an ounce of pot that cost medical marijuana users just $25 the day before — and taxes add on an extra 20% or so. Even so, sales have been brisk.